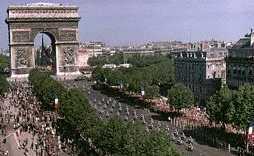 The Arc de Triomphe is a 164 foot tall triumphal arch planned by Napoléon to celebrate his military successes. 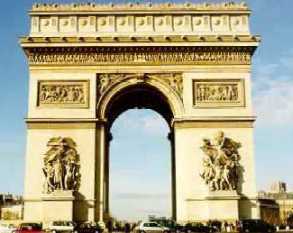 The emperor wanted the monument completed in time for an 1810 parade in honor of his new bride, Marie-Louise, the arch was still only a few feet high, and a dummy arch of painted canvas was strung up to save face. 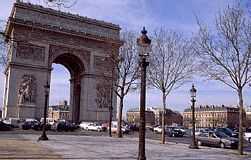 There is a small museum halfway up the arch devoted to its history. 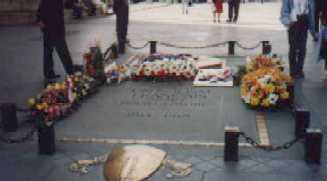 France's Unknown Soldier is buried beneath the archway; the flame is rekindled every evening at 6:30. 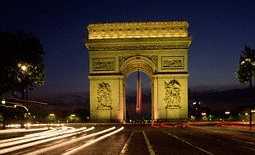 The area around the Arche de Triomphe is called L'Etoile (Star). If you look at the picture to the right, you will know why! 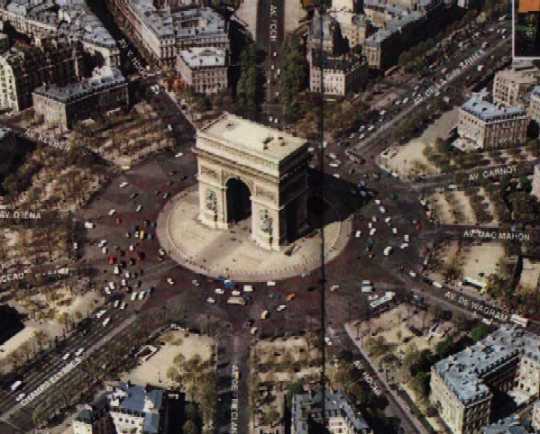 12 streets meet at the Arch de Triomphe roundabout. 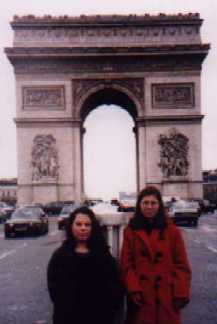 I actually crossed without going through the tunnel once. It scared the hell out of me!